If you’re worried that your child may be experiencing issues with their vision, book them in for a bulk billed eye test as soon as possible. It is vital that any issue is picked up and treated early. I am optometrist Dheeran Makadia and this happened to my own niece in 2004. She was 6 at the time and was brought in to see me by her parents on one Saturday morning. Her parents explained that she is slower than her friends at reading so her teacher has asked for some extra reading support at school. A friend of the parents had recommended that you should get an eye test done. At this point in time there was no squinting, rubbing eyes, sitting close to the television, no other obvious signs noticed. During the eye test it was discovered that my niece had high astigmatism. We made her some glasses and she excelled in all her abilities. She started reading faster, her school grades increased, her confidence grew and now I am proud to say she is at university studying to be a medical doctor. Even if your child is not displaying any of the behaviours listed above it is still important to have regular eye tests to ensure there are no hidden conditions developing. If you have any concerns about your child’s vision book an appointment with us today. 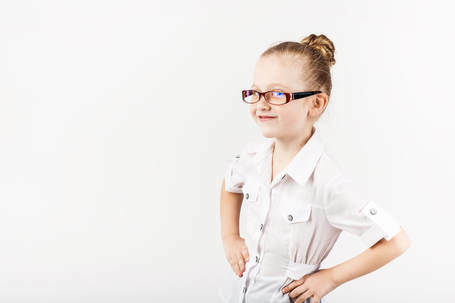 Many concerns can be resolved completely with us without the need to refer your child to a specialist such as an orthoptist or ophthalmologist. There’s no need to worry about the cost of our sight tests, as all children with a valid Medicare card are completely bulk-billed so you don’t have to pay anything out of your pocket. With regards to glasses, we have over 100 pairs of kids glasses to choose from and every pair is the same price!